For most beer drinkers, having a family member open a brewery would be a time for celebration, not only for the achievement but also the potential it offers for a lifetime supply of free beer. Not so for Richard Jeffares. A year before his brother Steve opened Stomping Ground in August 2016, he'd been diagnosed with coeliac disease and thus was unable to celebrate the launch of the Collingwood brewery with a glass of beer. Undeterred, he set out to find a solution. Richard followed a path taken by many Aussies seeking inspiration for their own breweries and took off for the States. But in his case, the goal was rather different: to hunt down and samples beers made without barley, wheat and other gluten containing grains, such as oats and rye. Returning to Australia, Richard set about building Two Bays Brewing, a gluten free only brewery in Dromana on the Mornington Peninsula. If all goes to plan, the brewery’s taproom will be open before the end of 2018 and Two Bays’ tinnies will follow soon after. The beers will be built around the three ingredients the US brewers he visited were using, with millet making up the bulk of the grain bill. With gluten free malts becoming increasingly available and diverse, Richard says Two Bays will use as many as ten different types of millet. 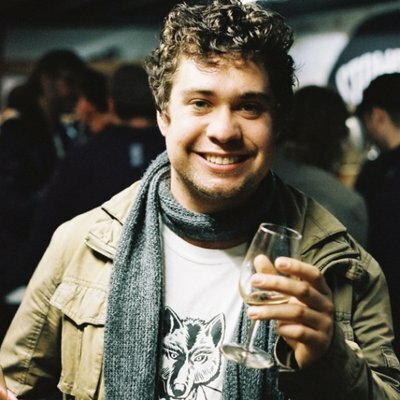 Two Bays founder Richard is set to become the second Jeffares brother to open a brewery in Victoria. Though Richard's first hope was to source his malt locally, he found the industry in Australia isn’t large enough at present to support the malting of gluten free grains here. It's something Voyager in New South Wales is exploring; they stated an intention to create a line of GF options last year and have put six tonnes of trial batches through to date. 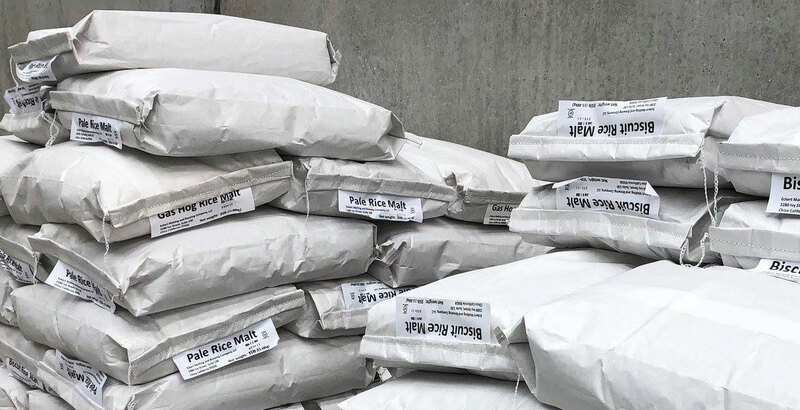 Demand doesn't yet justify a dedicated facility yet, says founder Stuart Whytcross, but the interest from brewers interested in the qualities ancient – and gluten free – grains like buckwheat can offer may help speed the process. For now, Richard instead brings his malt from America where, with its larger population and more mature craft beer market, there are more than a dozen gluten free breweries and counting. In Australia, the number is rather smaller, with some breweries relying on cider or ginger beers when catering for visitors who are unable to drink gluten-based beers. WILDE Gluten Free Beer, now part of Tribe Breweries, produces beers that are also FODMAP certified, Billabong in WA has been brewing gluten free beers as part of its offering for a number of years, and the pioneer in this area is Ballarat's Rebellion Brewing, responsible for the O'Brien Beer range available widely across Australia. Its founder is John O'Brien, who didn't have as many research opportunities as Richard when he first started exploring gluten free brewing after being diagnosed with coeliac disease in the late 1990s. “In 1998, there was only one company making a gluten free beer that I found anywhere in the world,” John says. “That was Biaglut in Italy and they imported a container load once a year into Australia and that got sold out within a fortnight; once that fortnight was gone there was no option to get any more of it. 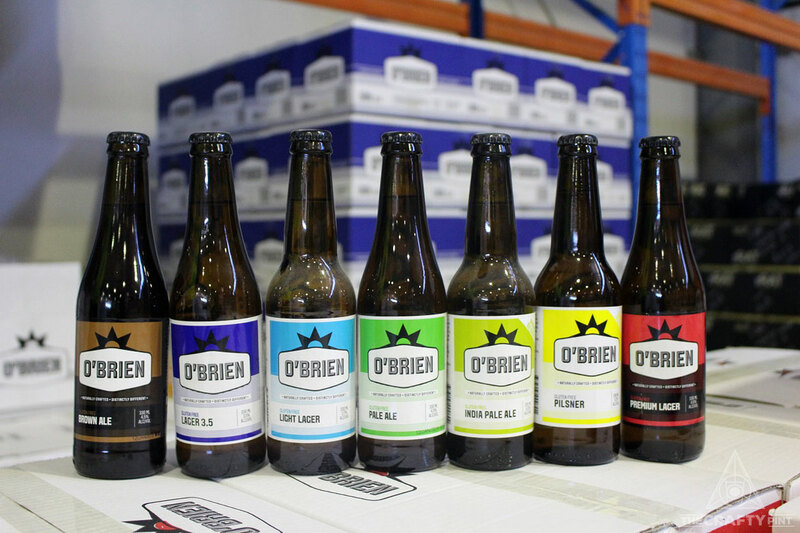 After years of experimental brewing in his back shed, O’Brien Beer was launched in 2005, making it both Australia’s first gluten free beer brand and a rarity anywhere in the world. While his Pale Ale and lagers are most commonly found in fridges, he's brewed a wide range of beers over the years, including an IPA, a seasonal Stout released last winter and a Belgian ale that became the first GF beer awarded a gold medal at the Australian International Beer Awards in 2013. 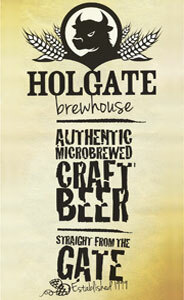 In creating them, John primarily uses sorghum, roasting it in-house to create the desired colour in his beers. It's a grain used in parts of Africa to brew beer but primarily used as stock feed in Australia, which can make sourcing grain locally a unique proposition. Past and present releases in the O'Brien Beer range. In the past 13 years, much has changed. 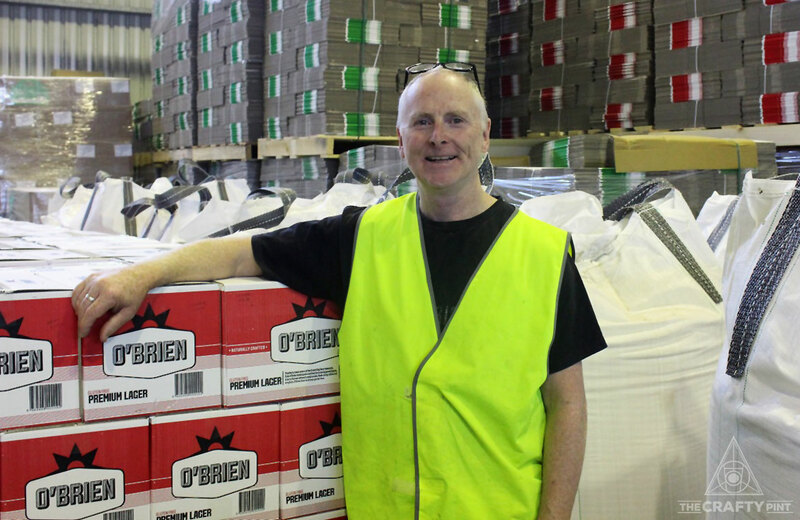 John says one of the biggest challenges in O’Brien’s early days was getting beer sellers to realise that people would actually drink a gluten free beer. It’s not just the number of gluten free breweries that's growing but the number of beer drinkers who rely on them too. The number of Australians diagnosed with coeliac disease is on the rise and, according to Coeliac Australia, approximately one in 70 Australians are affected by the disease and around 80 percent of those remain undiagnosed. For people with coeliac disease, the immune system reacts abnormally to gluten, which causes bowel damage. Coeliacs can react to gluten by immediately feeling unwell although some have no or few symptoms and can suffer long-term health consequences if they eat gluten. There are also many people who are gluten intolerant, meaning their body still doesn't respond well to eating gluten. Add to that number the people who choose to avoid gluten for dietary reasons and it's easy to see how gluten free food and drinks has become a big industry – and why it's unsurprising more gluten free breweries and beers are popping up. And then there are those exploring other methods of reducing gluten in beers that still use barley, by adding certain enzymes like Brewers Clarex, for example. In Europe, beers that use Brewers Clarex to reduce the gluten content in barley-based beers can be called gluten free but that's not the case in Australia; no beer can be labelled gluten free here if it contains barley, rye, wheat or oats. What's more, Coeliac Australia recommends anyone with the disease avoids barley-based beer and advises Australians to be mindful of the food standards in other countries when travelling overseas. Proteins in gluten are broken down when beer is fermented, which means the standard tests applied with food can’t easily be replicated in beer. It’s a problem scientists at the CSIRO have attempted to overcome using a novel method – liquid chromatography-mass spectrometry, for those of a scientific bent – to examine the levels in gluten reduced beers. One of the scientists behind the research, Dr Michelle Colgrave, says the group tested gluten reduced beers against regular barley beer and found that, occasionally, both had similar levels of gluten. “When we did the comparison across the gluten reduced beer we noticed that the levels for many of the different gluten proteins were almost equivalent,” Michelle says. She points out that gluten is a group of proteins, so certain types of gluten proteins in beer might not automatically make anyone sick. But, when tested, around 30 percent of those proteins had a high chance of doing so. For CSIRO, the purpose of the report is to provide a better standard for testing gluten levels in food and beverages and, as they haven’t conducted clinical trials yet, Michelle says they aren't able to make specific declarations about the different beers. Pioneering GF beer brewer John O'Brien at his Ballarat brewery. It's a disease that affects different people in different ways. John O’Brien will get sick pretty quickly after consuming anything containing gluten, yet others – Richard Jeffares included – never had any symptoms when they were diagnosed. “I think that report is quite illuminating in its results and in its conclusion on some of those claimed gluten free beers,” John says, expressing incredulity that some people with coeliac disease will still drink barley or wheat-based beers. As for Two Bays, it’s not just the beers but the entire taproom that will be gluten free, with Richard working with local bakers to prepare gluten free pizzas. 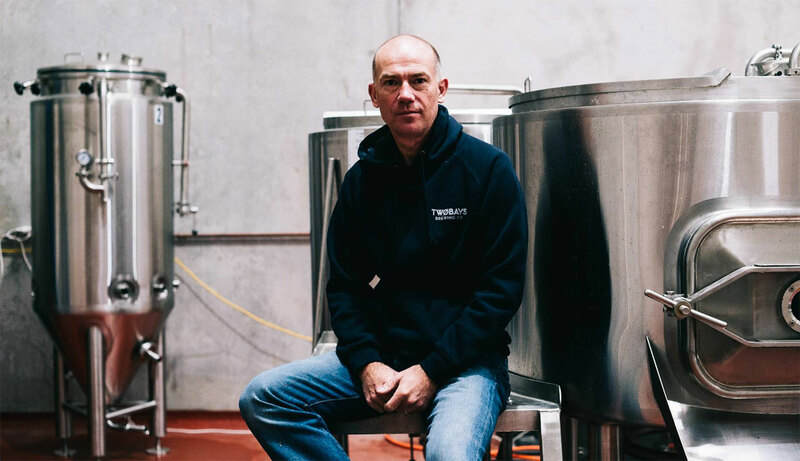 The man tasked with brewing the Two Bays beers is Andrew Gow, better known as AG and most recently head brewer at Mornington Peninsula Brewery from when it opened until 2017. AG has spent months using a pilot system to develop a diverse lineup of gluten free beers. He'll be brewing a core range that will initially include a pale ale and a lager, with the taproom featuring a rotating roster of other styles. As Richard puts it, it’s the kind of lineup you’d see at most breweries. “We’re a craft brewery, we just use gluten free malts," he says. "That’s really our ethos. While being one of a small number of gluten free breweries in the country provides Two Bays with a point of difference, Richard’s time in America suggests Two Bays should have a wider audience. To add further complexity to gluten free brewing, Canberra based BentSpoke Brewing has started brewing beers with Kebari, a gluten free barley developed by the CSIRO. Testing shows Kebari contains low enough levels of gluten that most countries would consider it gluten free. But it is still barley, so in Australia – as well as New Zealand and the US – it still can’t be considered gluten free and is a story we'll look into on another day. Photo at the top is from the Two Bays Facebook page.